January seems to be a rather anti climax month, after Christmas we are all skint and wishing for warmer weather-I'm also aware we are due for more snow very soon, so things won't change on this front for a while!! I am missing my boot sales though, my favourite one only starts up around late March to April, so I will be driving around looking for alternative ones up to then, weather permitting. Oh well, it looks like I will be shopping my existing wardrobe for now and come boot sale season I'll be seeking to thrift good quality designer and vintage pieces that will work well with my existing wardrobe. Oh, you always look so gorgeous in everything you find, Sharon. I swear you could wear a bin bag and still look amazing. The leather skirt fits like a glove, well done. They can be really hard to find the right fit (I still haven't managed) so that is a score. And I am most envious of the Mugler top, one of my favourite designers! We never have good boot sales near us, and the ones we do have only happen in August! The charity shops are terrible too. 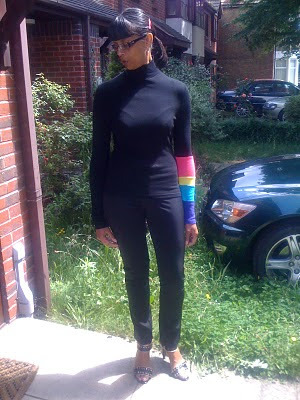 Lovly to see some of your favourite finds, I really like you all black outfits - I am such an all black girl, so chic! 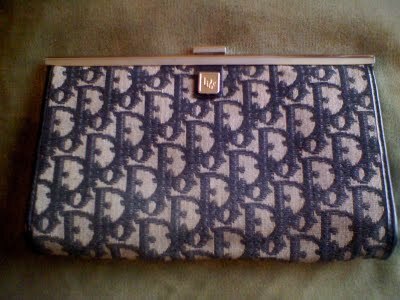 I loooove the dior clutch. So many gorgeous finds! I'm still in love with your Dior and that leather skirt is fantastic! Hi Sharon, I am so happy to hear that 2010 ended up on a positive note for you! 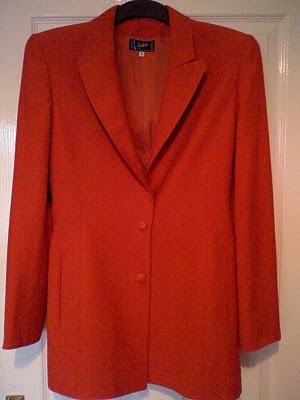 Like you, I find thrift shopping not just a frugal thing to do but fun as well. The thrill of the hunt, right? You look great in everything you find and I'm amazed how many designer labels you find. I'm always amazed at your finds and always admire how good you fit in them. Hugs. Ciao. A.
ahhh i lvoe your thrift buys! Especially loving that gorgeous leather pencil skirt, which looks incredible with your figure, and that TM polo...bargainferous! I'm planning to do some car boot sales this year so you've inspired me to search out some bargains too! You found some amazing purchases! Here's to some great bargains in 2011! PS the iron is really good! 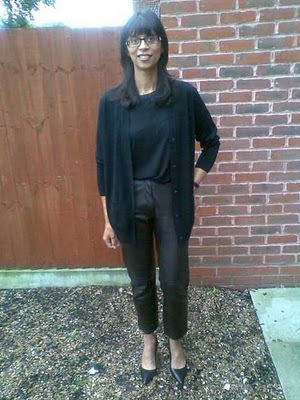 Leather Trousers for £1! Unbelieveable! Oh dear, you look always so cute and beautiful. I want to steal that Mugler from you. Those leather trousers look stunning on, what a find. 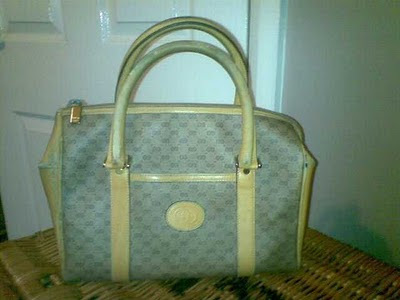 I need to get back out to the charity shops and car boot sales, I will blog any finds. really great finds! real bargains and they suit you so well! Love the cropped leather trousers!! LOVE LOVE LOVE, looks fantastic on you. Hope all is well and happy 2011!